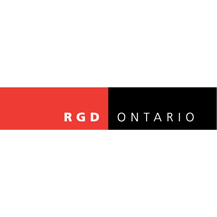 Honored to announce that I be will sitting on a panel discussing Industry Trends at RGD Ontario’s HeadStart Conference , Saturday, February 27, 2010. HeadStart is a Career Development Conference for students, recent grads and professionals held by RGD Ontario. Panelists include Bernard Hellen R.G.D., President + Creative Director of Traffic Marketing + Design; Scott Morrison R.G.D. of The Bauhub; Arlene Gould R.G.D, Adjunct Professor in Institute for Research and Innovation in Sustainability at York University; and myself.